Scopri la Toscana! Vallechianti offre attività di gruppo come trekking, gite in bicicletta, yoga e pilates. Successivamente è possibile fare un bagno rinfrescante nella nostra grande piscina e gustare un pranzo o una cena tipica toscana. Le strade più belle del Chianti partono direttamente da Vallechianti. La Toscana e le sue colline sono famose per la loro bellezza unica. Sfruttate la possibilità di scoprire il paesaggio mozzafiato con le nostre biciclette a noleggio o con le nostre visite guidate. Se invece voleste andare da soli, con le nostre mappe potrete scegliere il tour più adatto a voi. Se vuoi comprare vino o altri prodotti potrai farlo da noi senza preoccuparti del prezzo perchè ti garantiamo esattamente lo stesso prezzo del produttore. Per garantire la disponibilità si prega di prenotare in anticipo tutte le nostre attività. Non esitate a contattarci per prezzi e ulteriori informazioni. Guardate nostre offerte e sceglete un pacchetto per vuoi. Short description: Your adventure starts and ends at Vallechianti. What is better than to discover a landscape by foot? You will have time to soak in your surroundings and enjoy your new experience. 10.00: We will provide you with maps, we have both gps and plastic ones. There are more than 6 tracks to choose from, ranging between 5 km - 20 km. Cold cuts; Prociutti crudo, Salame Tocscano, Salame Finocchiona & Pecorino Staggionato, Semi & Fresco. Free entrance to our 20 * 10 m pool. Short description: Use your afternoon to experience new surroundings and taste. We get you off the beaten track to discover the Tuscan landscape by foot. Afterwards you will enjoy a delicious dinner. 17.00: We will provide you with maps, we have both gps and plastic ones. There are more than 6 tracks to choose from, ranging between 5 km - 20 km. Short description: Our focus is to have fun and improve your strength. 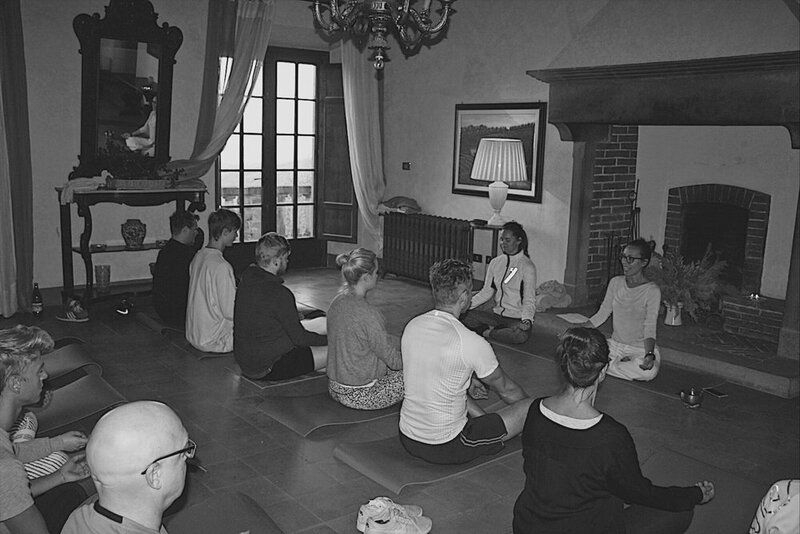 After your yoga session we will enjoy lunch in the shade of the pergola, overlooking the vineyards and olive groves. 11:00: Group arrives and prepares for class. 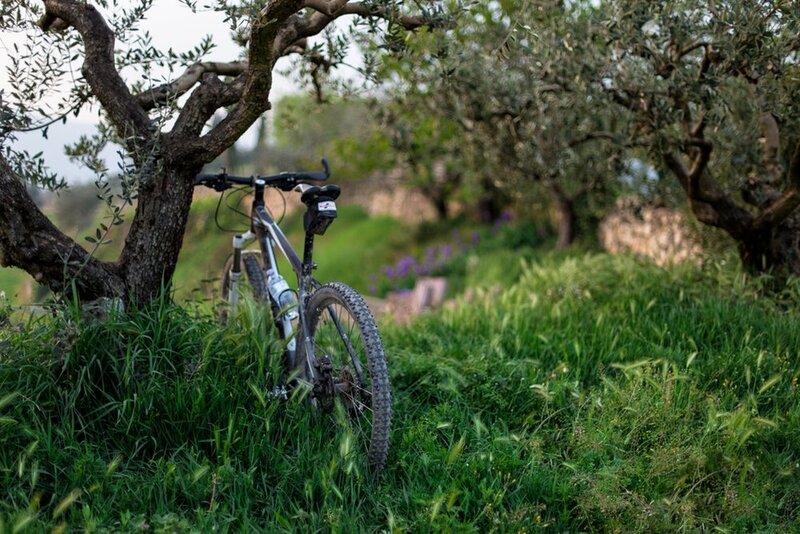 Short description: Pick up your bike and map and set out on your own adventure through olive farms and the Tuscan vineyards. Back at Vallechianti we will serve a delicious lunch with cold cuts followed by a Primo. 10.00 We will provide you with maps, we have both gps and plastic ones. There are more than 6 tracks to choose from, ranging between 5 km - 20 km. 12.00 Lunch: Group arrives and eats lunch. Short description: Spend the afternoon with us! Enjoy the countryside of Tuscany on bike. We have plenty of tracks to choose from, depending on how long and how experienced you are. 17.00 We will provide you with maps, we have both gps and plastic ones. There are more than 6 tracks to choose from, ranging between 5 km - 20 km.